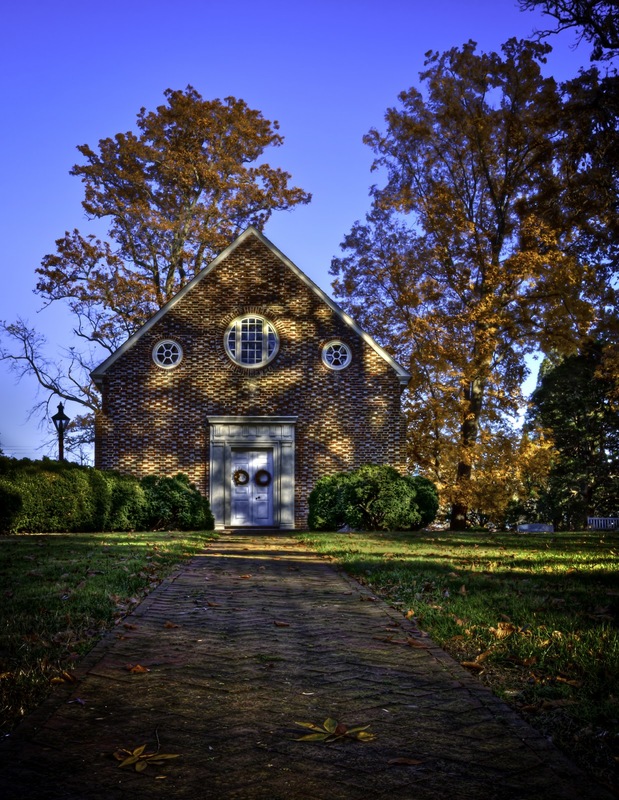 The Old Wye Church in Wye Mills, MD. 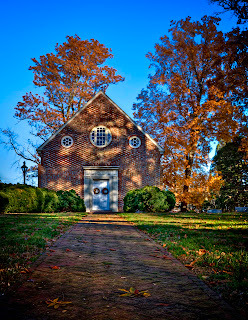 This quaint little Church sits about 200 yrds. south of what remains of the Wye Oak tree (Maryland's official state tree.) Camera- Canon 50D, Lens- EF 16-35mm f/2.8L II @ 26mm, Settings- f16, 1/13(median), ISO 100. Tripod mounted, three exposures with 2ev spacing were captured in Raw format. After spotting and noise reduction in Adobe Camera Raw, Tiffs were loaded into Photomatix Pro4 and merged. The resulting HDR image was saved and then tonemapped three different times. One version concentrated on a sky free of halos while another brought out detail in the foreground and church. A final version produced a highlights and shadows map(H&S.) The first two renditions were blended using a gradient mask. The H&S map was set to soft light blending mode and painted in for detail, excluding the sky. Saturation performed in Lab mode. Minor adjustments and a vignette added in Lightroom 3.